The Seco 25mm Mini Prism System with Side Vial6200-11-FOR is a cost-effective purchase complete with a 1" mini prism, side vial, and a padded bag to carry them all. The peanut prism is coated in copper which prevents it from fogging. The tilting holder is made for either 0 mm or -30 mm offset. Located at the side of the device is the circular vial, which can be adjusted according to the user’s preference. 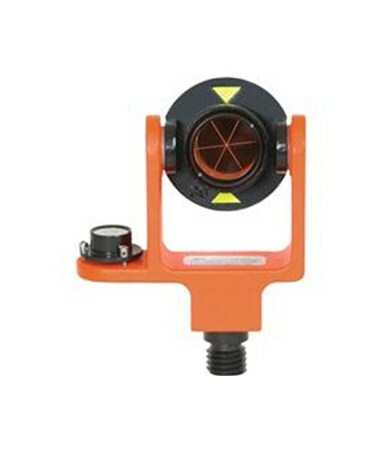 If mounted on a tribrach or prism pole, it can be configured at either 70 mm, 100 mm, or 115 mm height. If used for hand-held work, a bracket or S-hook can be easily attached to the plumb bob. If used for stake-out work, a point is included. 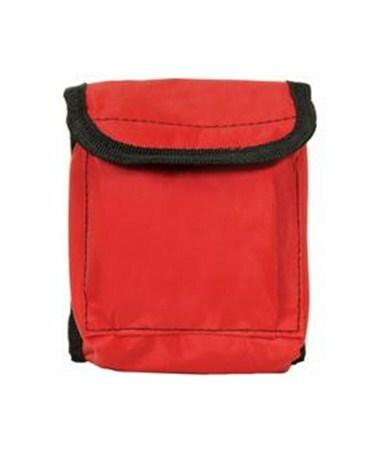 The economical mini prism system comes with a padded bag where the parts can be kept and a belt loop so that it can be conveniently carried around during fieldwork. It is powder painted in bright fluorescent orange. 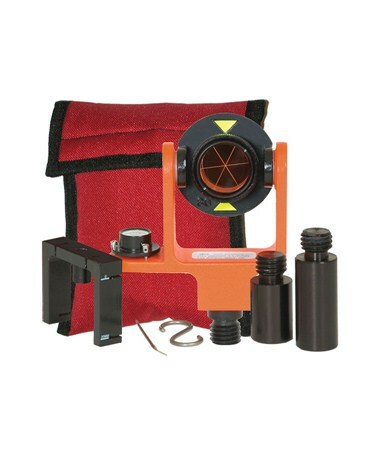 This professional surveyor equipment comes with a 1-year warranty.